A few weeks ago we informed you that our brand new Autumn/Winter collection could be previewed from the website. We are now happy to announce that the majority of the collection has now arrived, with the rest available for purchase very soon. So with the season already underway, this is an appropriate time to look through what is newly available, category by category. Perhaps are most popular category year on year is our range of Bobble hats and Ski Hats, which will undoubtedly remain bestsellers in your headwear collections. For this we can look at those hats designed with Ladies in mind. We have a range of designs here from the vibrant A1466 to other distinct options like the chunky knits A1480 and A1482. One standout in particular is the new Knitted beret A1422 which has already attracted interest from Trade shows and seen purchases. If you are looking for functional headwear for your male customers then we have added great new cable or chunky knit options like A1471, A1472 and A1424. Some of our new additions are ideal for your potential younger customers. Firstly we have extensions to our babies’ hats including B290 and B294 that have been developed with their delicate heads in mind. For those a little older we have great, colourful designs like C599, C602 and C611. All of these bobble hats feature a range of colour schemes, many feature standout pom-poms giving it that extra bit of character and the Chunky knit materials are ideal for the impending winter weather. We have also added significantly to our country collection. This includes both wool felt and wool blend hats that will be extremely popular this season. Short brim felt hats like A1457 and A1452 and wool blend cloche style hats like A1482 and A1483 are key new additions here. 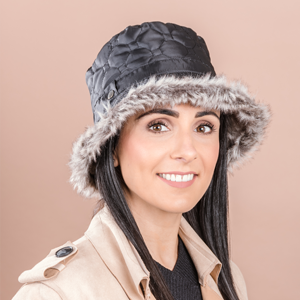 Along with this we also have new bush hats with faux fur lining and faux fur brims including A1474, A1476 and A1433. 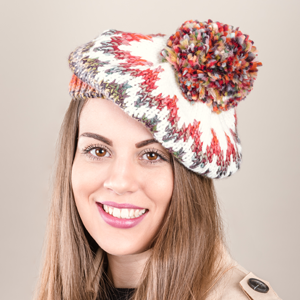 All of these new Ladies hats are of exceptional quality with Autumnal colour options. For this new season we have also further increased our Flat Cap ranges. 8-Panel and Traditional Flat caps such as A1445, A1444 and A1458 come in a range of sizes per pack and are available to purchase right now with other new extension arriving very soon. But it’s not just headwear we are focusing on this season, we have extended our accessory ranges also. While we have a wide-ranging amount of gloves already available, new luxury options like GL1230, GL1240 and GL1241 will undoubtedly appeal to your potential female customers. We are also proud to announce that we have brand new extensions to our Male scarf range. From check designs like Scarf95 and Scarf98 to striped designs like Scarf93 all the way to the reversible Scarf96, these will be perfect for the Autumn/Winter season. Finally we have also added to our bag collection. Featuring new animal based and flower designs in various styles such as tote, shopper and cross body these bags such as LB59, LB61 and LB68 will be become unique and standout additions for your accessory collections.